Since this is the time to greet and meet the ghosts and the witches of this universe and perhaps visitors from another universe too, the food served has to be just right for the occasion. If you have dry chickpeas, start by soaking them overnight in cold water and boiling the next day. If you have canned chickpeas you can start the preparation straight away. Put all the ingredients (apart from oil of course) in a food processor and mix them very well to a coarse, but homogeneous paste. Ensure the mixture is dry. If not, sauté it in a dry pan for 4 – 5 minutes, until all the moisture has gone. 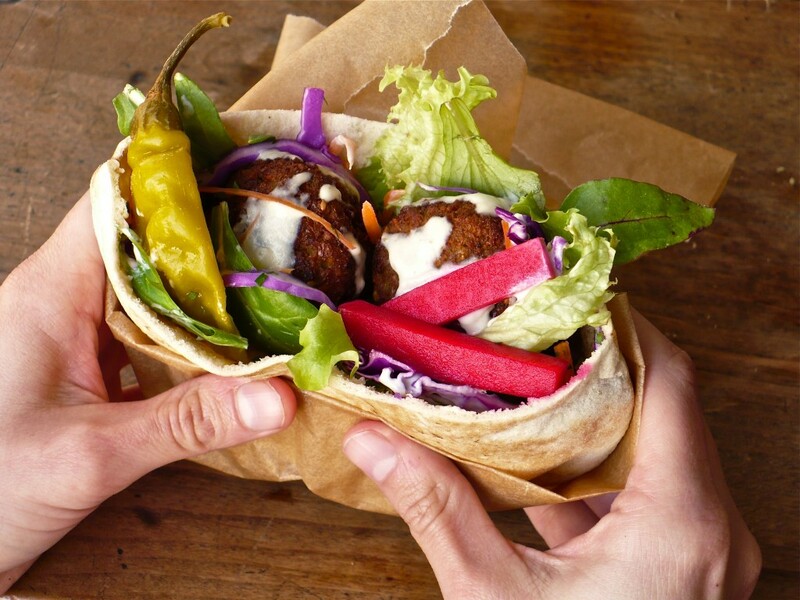 Heat the oil – check by throwing a little of the falafel paste and if the oil is ready, it should come to the surface straight away. Form small balls with your hands, the size of golf balls and fry them until golden-brown. 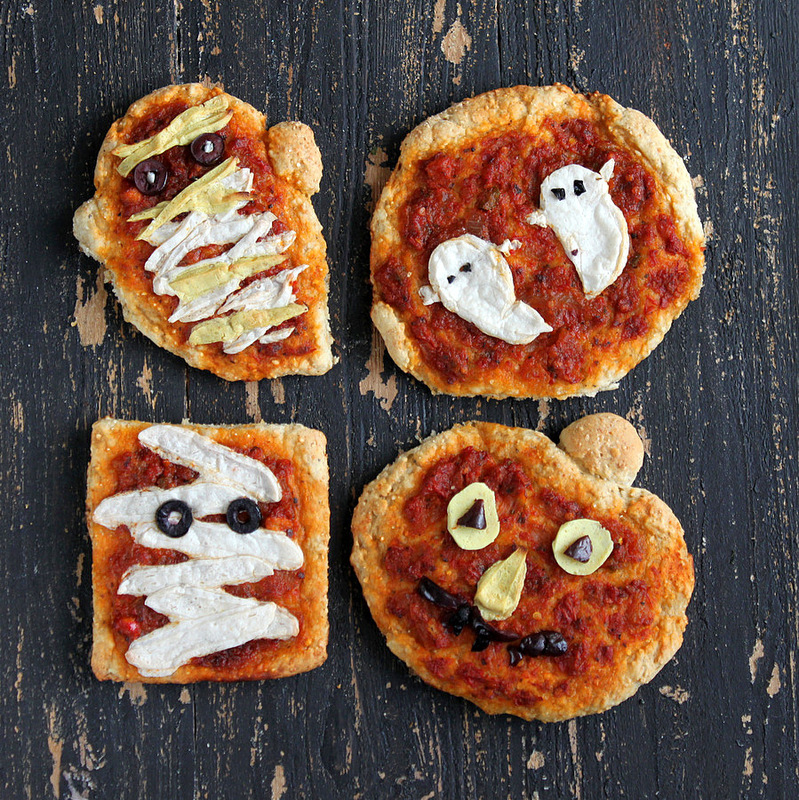 Serve them on non-Halloween days in a pitta bread with pickled veg, tahini sauce and even mayonnaise. However, for Halloween, there is nothing that a little ketchup can’t fix 🙂 Happy shrieking and ‘getting scared’ day people! 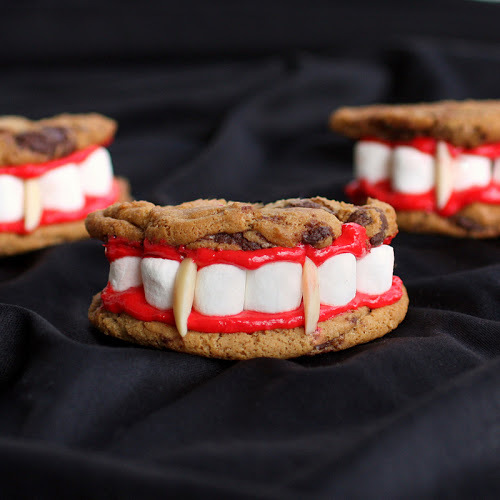 Dracula Dentures – cookies for one and all! 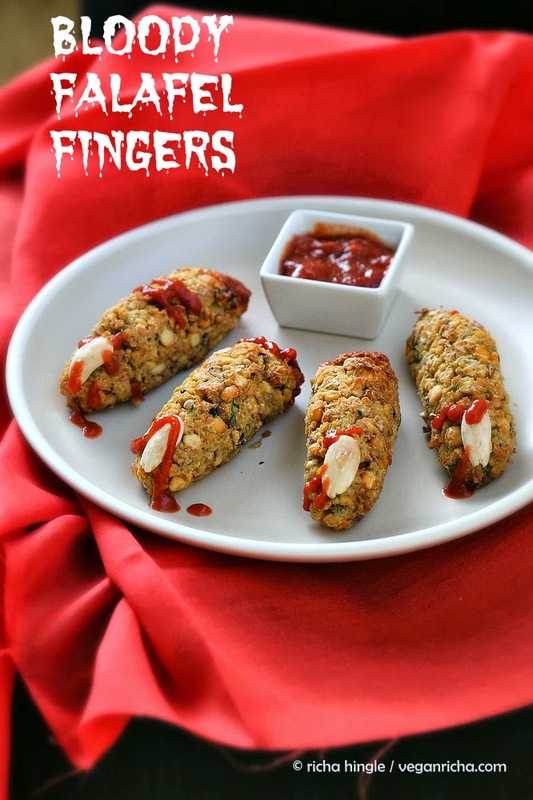 Don’t forget to order your Halloween treats from the lovely Foodaholics...great in both looks and taste!